Owner and Founder, Kimberly Garsed, started Urban Dog to help further the understanding between all canines and their unique owners. For her, it's the fulfillment of a lifelong dream, working with various canine breeds. Luckily for dogs and their future owners, she has turned that passion into a successful business. Her love for all creatures began early on when growing up on the East Coast. She not only had dogs, but horses too, which he worked with to compete in 3 Day Eventing (aka "equestrian triathlon") and Polo. 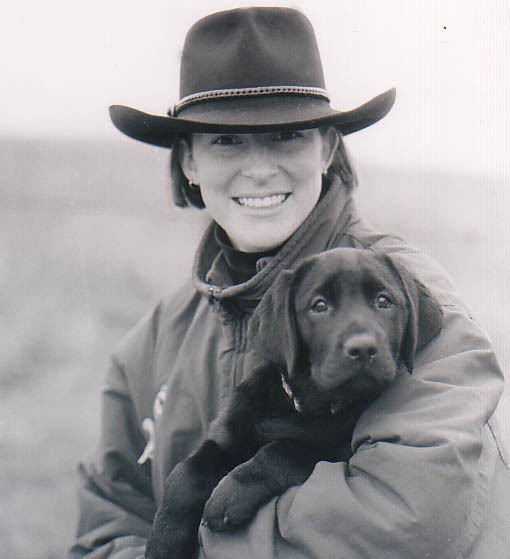 Today, she has over 20 years experience training dogs and riding horses. Her experience has lead her to title dogs in obedience and field events, through the American Kennel Club and North American Hunting Retriever Association (NAHRA). Through Urban Dog she seeks to help as many dogs as possible. In addition to the Urban Dog Rescue, she also works with Tails of the City and other rescue organizations to help place dogs in healthy, happy homes. When it comes to canines, Kim truly is the ambassador. Born in East Los Angeles, Erica lived in Downey for almost all her life. She has an adorable 5 year oldmaltipoo named Rome, who is very sweet with Erica's three daughters. She's been working with Urban Dog for 7 years. She doesn't have a favorite canine breed because she recognizes that all breeds have their own special personalities. Erica discovered her love for dogs when she was in high school around her senior year. This defining moment changed her life forever and would eventually lead her to Urban Dog. Her favorite part about Urban Dog is everyday presents new and exciting opportunities to work with different canine breeds and their owners. Erica would be the first to tell you that no two days are alike which is something she welcomes with open arms. Proudly Developed by Promotion LA © 2017 - 2018. All Rights Reserved.